Jammu, April 05: The Institute organized a guest lecture on the topic “Machine Learning Fundamentals: An Overview” for the students of MCA and BCA. The resource person was Mr. Sourabh Shastri, Assistant Professor, Department of Computer Science & IT, Kathua Campus, University of Jammu. At the outset Dr. Ajay Sharma, Director, IMS welcomed Mr. Sourabh Shastri. Mr. Shastri explained that Machine learning is an application of Artificial intelligence (AI) that provides systems the ability to automatically learn and improve from experience without being explicitly programmed. Machine learning focuses on the development of computer programs that can access data and use it learn for themselves. 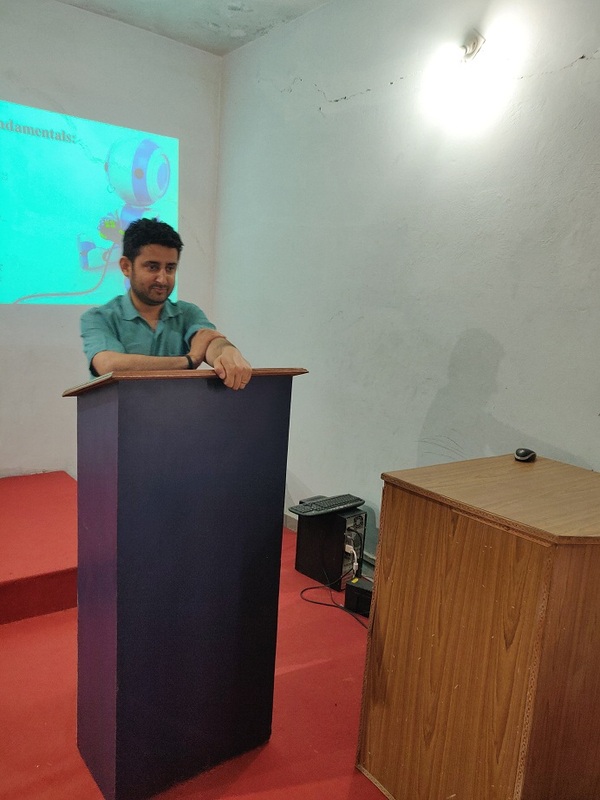 The aim of the talk was basically to help the BCA and MCA students to come up with the concept of machine learning and the various steps involved in decision making process and also help the students and faculty members to develop an interest in research in the area of data mining irrespective of any discipline. The concept was identified and organized by Dr. Archana Sharma, Chief Academic Coordinator, Department Of Computer Science, IMS. Prof. J.R.Dhotra, Advisor, IMS, Dr. S.K.Gupta, Dean, IMS, faculty members of Department of Computer Sciences and students of MCA and BCA attended the lecture.